The First Five Years is a novel—historical fiction—based on the true story of a remarkable pioneering family that stayed the course and made Australia their home! Trevor Outram and his wife Molly immigrated to Australia with two young children; their sea journey from England covered 20,000 km, took 28 days and landed them in Fremantle, Western Australia on January 22, 1965 amidst a record heat wave. They travelled a further 1,600 km north to the tiny town of Port Hedland, which was just beginning to boom as a port exporting iron ore from the Pilbara region. There was no radio, television, fresh milk and limited fresh fruit and vegetables in Port Hedland; it was hot, dry, isolated and in complete contrast to the family’s lush, green English origins. 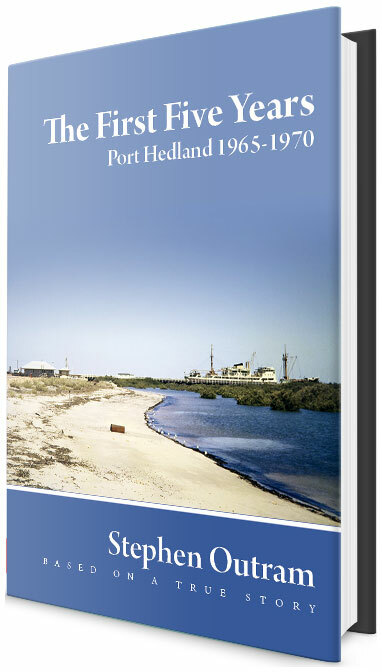 None of this was to stop the Outrams as they set-to forging a new life in Australia, knowing that there was little support and no one to fall back on.While many immigrants opted for the relative comfort of cities, the families choice of Port Hedland presented extreme challenges but offered the greatest rewards. Their story is one of courage, endeavour and finally success; they are one of Australia’s largely unknown but nevertheless intrepid, gutsy pioneers. The First Five Years is based on their story; a magnificent true story.